What is going on here? Am I actually writing an article for this first time in 5 years? What could possess me to do such a thing? I'll tell you what......TACOS! 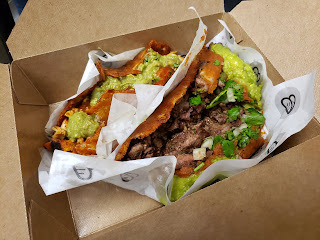 But not just any tacos....AMAZING TACOS! Taquiero Taco Patio is a brand new restaurant in Irvine across the street from UCI. They specialize in authentic Tijuana-style tacos. 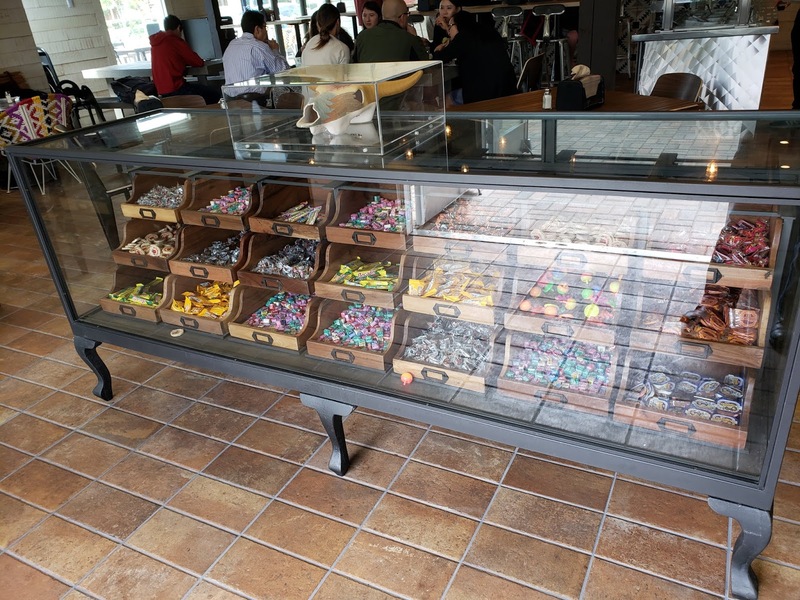 They also offer burritos, mulitas, quesadillas, nachos and fries. I know you must be thinking that there is no way that Irvine can have an authentic taqueria that is better than joints in Santa Ana, but it's true. The restaurant was co-founded by a gentleman named Sean that moved from OC to Mexico and spent the last 10 years there. He loved the tacos down there and knew that there wasn't anything like it in Orange County. He decided to come back and share the experience with us. All ingredients are fresh, high-quality and the corn they use for the tortillas is non-GMO. 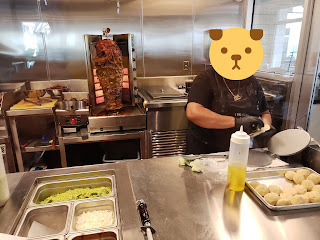 Meat selections include carne asada, pollo pastor, pollo asado, cochinita pibil, veggies and the much sought after al pastor fresh off a spinning rotisserie spit. They also hand make all of their corn tortillas in house. No premade masa here. They soak corn in the back and mash it up with just a little salt. The tortillas are then hand-pressed and griddled fresh when you order your taco. Tacos automatically come with your choice of meat, salsa, cilantro, onion and guacamole. Tacos will run you $3.50 and burritos are $9.75. These things are packed full of meat and deliciousness. Two tacos will be a feast. Carne asada/al pastor nachos or fries are $10 and mulitas (Tijuana-style quesadilla) are $6.75 with your choice of meat. The tacos here are delicious by themselves, but get even better when you visit their salsa bar. 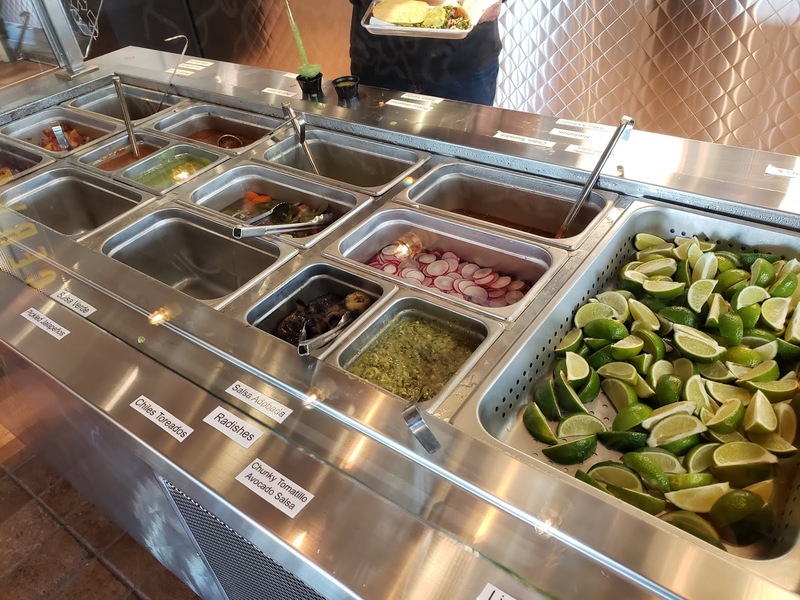 Here you will find 7 or 8 different salsas, fresh limes, perfectly pickled onions, jalapenos and more. My favorite is this green, kinda creamy salsa with a little kick. When you have stuffed yourself full of taco deliciousness, make sure to stop at the complimentary Mexican candy case on the way out. Here you can grab yourself a few Mexican delights to top off your meal. Let's hope that people don't abuse this and cause the owners to stop offering this totally awesome amenity.